Win7 when configured on peer-to-peer Network Win 7 has three types of sharing configurations. HomeGroup Network = Works only between Win 7 computers. This type of configuration makes it very easy to Entry Level Users to start Network sharing. Work Network = Basically similar to the previous methods of sharing that let you control what, how, and to whom folders would be shared with. For best results log to each computer's System Screen and set all the computers to be on a Network with the same name while each computer has its own unique name. Please Note that some 3rd party Software Firewalls keep blocking aspects of Local Traffic even it they are turned Off (disabled). If possible configure the Firewall correctly, or totally uninstall it to allow clean flow of local network traffic. 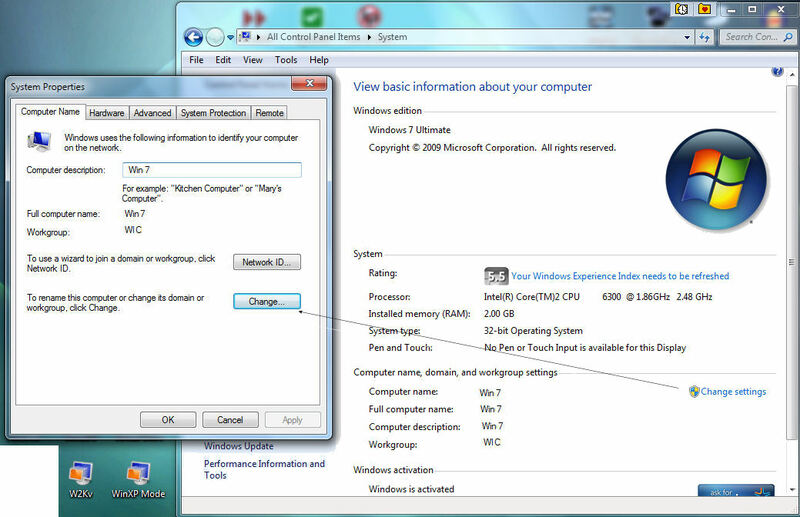 Since your computers are running Win 7 and Win XP you have to use the Work network option. *Note. Some of the processes described above are done Not for Windows sake but to compensate for different Routers and the way their firmware works and stores the info about the computers that are Networked.